I got a set of Snowman dishes a ocuple of years ago for Christmas and last year was the first year I actually unpacked them and used them becasue I didn't have to room before. ANyway I keep them in my cupboards until about March and then pack them away and bring out my normal dishes... Does anyone else use Christmas/winter dishes? These are one set. I have 3 different sets. My step mom bought me some cool sets at flea markets. I have a Halloween set of dishes too. Oh very nice lay out too... As for Halloween I don't have a complete set of dishes but I do have 5 misc Halloween themed plates and about 5-6 mugs that i bring out in September...and are still in my cupboard..
Well I did switch up my dishes last night finally. My son helped me as we were putting a few other little things around. I unpacked them all and rinsed them quick in the dishwasher just to get the carboard fibres off of them. I packed up all my other dishes and put them away too! I was pretty impressed with my engergy level after a busy weekend but it was nice spending time and he was humming Christmas songs the whole time. 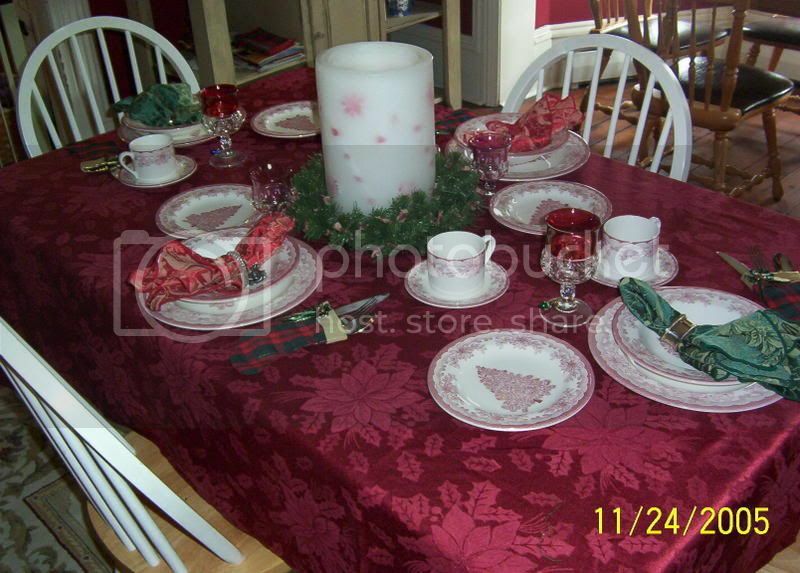 I do have Holiday dishes that I got at target a few years ago (of course I bought them on sale). 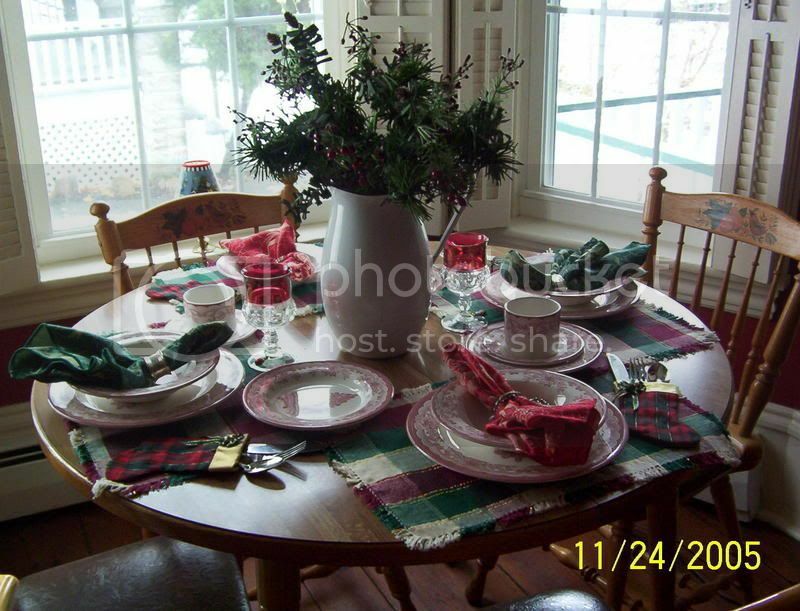 Also, if you want ot decorate your kitchen area for the holidays, get a couple of dish wall hangers (you can get them at Jo Ann's or a hardware store for about a dollar) and hand the plates around your kitchen. It looks really cute! My Husbund got me a lovely set just this past year, It was on sale for 10.00 a nice stonewear set it has Holly on it....We didnt use it last year becuse I had the flu threw Christmas, but deffently want too use it this year! !